Mainframe computing is a phrase you don’t typically hear much anymore. 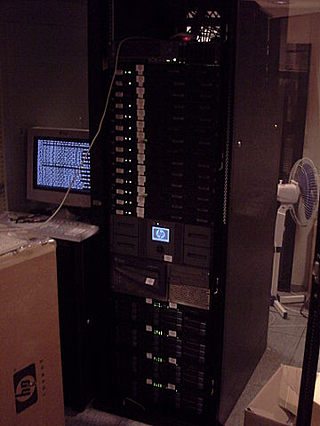 Client-server computing began pushing it to the background in the 1990s, and then of course the advent of virtual networks in the past five years has made the notion of everything running on a giant piece of physical machinery almost laughably quaint. But before CIOs join in the laughter or place mainframes in the same distant corner of their mind where manual typewriters and rotary phones dwell, they should consider a few facts. Most importantly, despite reports to the contrary (or its simple disappearance from popular IT culture), mainframe computing is alive and well. In its most recent annual global survey of 1,264 mainframe users (yes they exist), BMC Software discovered that 90% of respondents said they consider mainframe to be a long-term solution, and 50% agreed it will attract new workloads. However, mainframe users do face some challenges as IT moves toward a more lightweight, cost-effective computing model. Sixty-nine percent of respondents identified keeping costs down as their major focus area, up from 60% in 2011. And 75% of respondents expressed concerns about the shortage of skilled mainframe staff. So if you are a CIO looking to continue leveraging a legacy mainframe investment or even considering implementing a mainframe or mainframe-based services, how can you maximize the mainframe’s potential as a robust, secure platform while minimizing problems relating to cost and availability of skilled staff? BMC Software advises CIOs that “that better recruitment, training and outsourcing will not solve the problem alone.” BMC instead recommends automated, self-learning software and simple, cross-platform solutions. Certainly, the intelligent application of the proper software can be a tremendous help to CIOs struggling with mainframe issues, and any CIO still relying on a mainframe to support part or all of their IT infrastructure should investigate this option thoroughly. But with all due respect to BMC, as a company that provides software for mainframe users, its advice may be somewhat biased. Outsourcing may not prove to be a cure-all for mainframe woes, but it certainly can serve as an important element in any mainframe strategy. Whether CIOs tap into hosted mainframe-based services, use an captive mainframe data center or bring outsourced personnel in to bolster mainframe expertise among existing staff, the ITO/BPO model can allow CIOs to smoothly integrate mainframe computing into their IT architecture. In addition, bringing in outside experts for a period of time can also allow in-house personnel to acquire expertise so that once the outsourcing contract ends, existing IT staff can then attend to mainframe issues. Don’t forget about the mainframe, and also don’t forget that outsourcing can help keep mainframe computing a 21st century phenomenon.